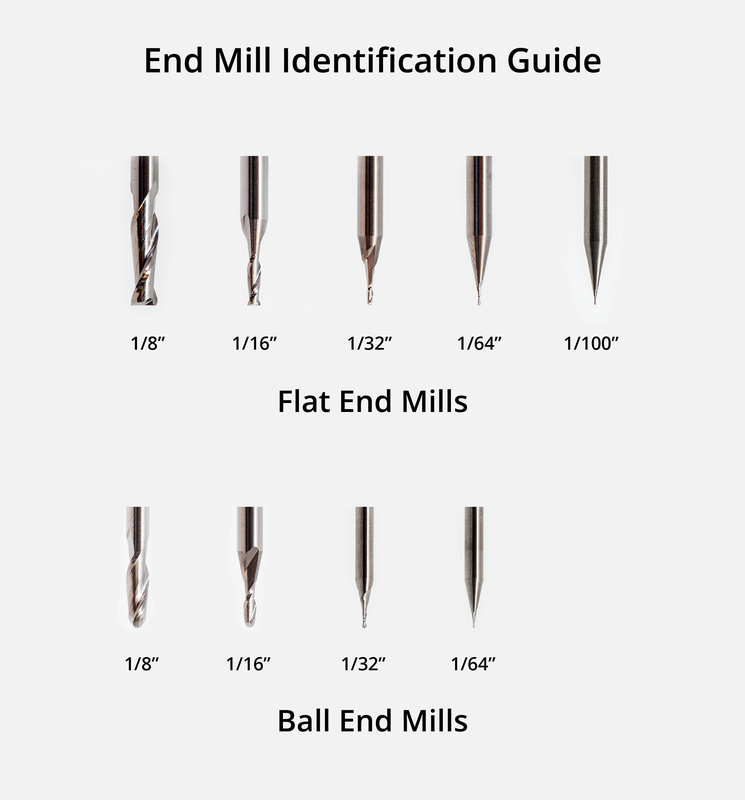 It’s easy to get confused when trying to tell the difference between our smallest end mills, so we made a visual guide! Looking at them side-by-side, you can see that there are subtle differences. For example, a 1/100" flat end mill looks very similar to a 1/64" flat end mill, but the tip is shorter and slightly smaller. That being said, even experts confuse them occasionally, so we recommend keeping your end mills organized. Many people keep them in their original packaging, but you can also mill your own bit rack!